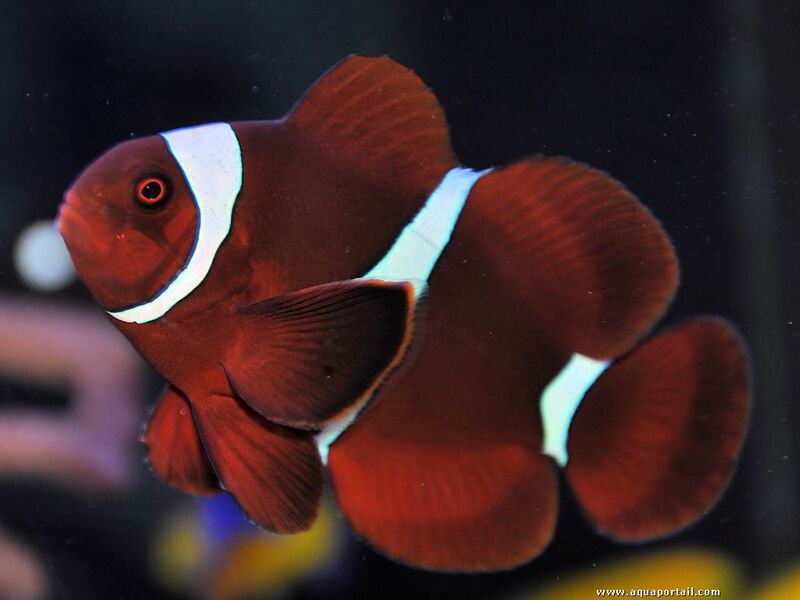 The largest of the clownfish, reaching about 1 foot in length, though most only get to be about 6 to 8 inches, with the male being somewhat smaller. Can be a very aggressive fish as it gets larger and stakes out its territory in the tank. Doesn’t need anemones to do well as it will use corals like mushrooms, leathers, and frogspawn instead.